SteamMaster is a certified Radon Mitigation Company serving in Vail, Breckenridge and Aspen, Colorado. In conjunction with Radon Mitigation, our sister company Colorado Crawl Space works to eliminate unwater water intrusion and high humidity in crawl spaces. We are professionals in designing an excellent way to mitigate your dwellings of radon. We observe the United States Environmental Protection Agency (EPA) standards and use top of the line products. Radon is a natural breakdown and decay of uranium in soil rock and water and gets into the air you breathe. It gets into our homes through cracks and holes in the foundation. 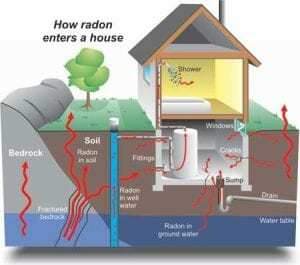 How and Why does Radon affect you? –The Surgeon General has warned that Radon is the second leading cause of lung cancer in the US today only to smoking. 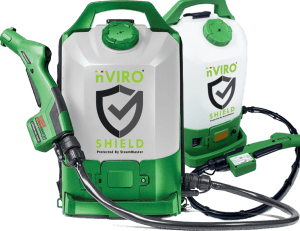 Our team of experts will strategically select the proper suction points so that the Radon Mitigation system installed will successfully ventilate these harmful gas away from your home to increase the success of our Radon Mitigation system. If you are selling your home, it is proper practice to correct your radon problem before you put your house on the market. High radon reading has caused buyers to walk away from a real estate transfer. The built of your house type will determine the kind of radon reduction system which will work best in your situation. The foundation design will determine this too. In homes with a basement, crawlspace or a slab-on-grade foundation the sub-slab suction, drain tile suction, sump hole suction or block wall suction may be installed. Sub-slab depressurization or Active sub-slab suction is one of the most common and also usually the most reliable radon reduction method. Suction pipes are inserted through the floor slab into the crushed rock or soil underneath or inserted below the concrete slab outside the house. Movement of air through the substrate under the slab will determine the number and location of suction pipes. Usually, only a single suction point is needed. This will prevent the flow of radon gas to accumulate in the home where this can turn to be dangerous for people and pets to breathe. Most radon mitigation systems are installed by channeling a series of PVC pipes from a suction or collection point in the basement, slab or crawlspace. A radon vent fan is then installed to create a permanent vacuum within the pipes to vent out the gas away from the home. Some radon systems are installed through the attic above the home and exhausted above the roof. In some cases, radon systems are installed outside of the home or building. Each situation and structure is different therefore there is no one-single-solution that works for all.